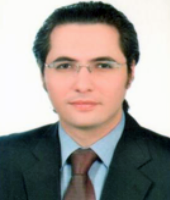 Eiad Absi is an HR Consultant & Trainer with expertise in management, customer service, sales and HR fields. He has managed HR departments in banking and telecommunication sectors & Insurance companies and is the HR & Marketing manager for AFNIC. He is also Co-Founder and HR Consultant for Ertiqa Consultancy, UAE and Prime Customer Solution, Egypt and has 15 years+ diversified experience in different fields including training, developing staff performance, monitoring the business plan for new projects, launching and running businesses. As a leading trainer, he has trained more than 10,200 employees in different domains and sectors and one of his courses was for all front liner 350 employees in a bank and the topics were on leadership, Customer Service, Sales Technique, Time management, dealing with conflicts, and hostility to hospitality which reflected their performance and the bank performance in general and putting the bank in a leading position in the market. He has international exposure in different countries and remained associated with leading companies including banking, telecommunication, retail , etc. He is native Arabic and is well versed with English, knows Russian language as well.